The Australian Prime Minister, Tony Abbott, turned up in Queensland very recently to open a coal mine (the $US3.4 billion Caval Ridge Mine in Central Queensland, a joint venture between BHP and Mitsubishi which will produce 5.5 million tonnes annually of metallurgical coal and employ about 500 people). In a TV interview he managed to inflame a number of commentators around the world with his quote that “Coal is good for humanity, coal is good for prosperity, coal is an essential part of our economic future, here in Australia, and right around the world . . . . . “. In this world in which it is difficult for politicians to say anything without getting criticised, he was perhaps in a losing situation before he spoke, simply because of the critical role that coal happens to play in the global economy cast against the reality that its cumulative carbon footprint is the single largest contributor over time to the build-up of CO2 in the atmosphere. More recently, increased coal use has also contributed most to the rapid rise in global emissions. In one sense Abbott is correct in that over and over again coal has been the starting point for industrial development. I explored this in more depth a few months ago. Coal is an inexpensive fuel, but perhaps most importantly it requires only minimal technology to utilize. There is no need for pipelines, leakage monitoring or sophisticated storage facilities. One could argue that the most important piece of technology is a shovel. This was true in Victorian England, it is still true in parts of China today and it may well be the case as Africa begins to industrialize on a large scale. Of course, the development of Africa on the back of the vast coal resource that sits in that continent (200 billion tonnes in Botswana alone) will send emissions to levels that are hard to contemplate and even more difficult to reduce. That is highly unlikely to be good for humanity. Contrast this with the latest offering from activist and author Naomi Klein, who has recently published a book on the climate issue; This Changes Everything. I am about a quarter of the way into this and try as I may to be objective, I am already wondering if I will ever finish it. I feel that I have already been vilified a hundred times over, not just as part of the fossil fuel industry that she likens to an evil empire, but also as a shareholder daring to expect a return on my investments (“. . . . pour their profits into shareholder pockets . . .” ). Ms. Klein seems to believe that nothing short of a return to collective ownership, community living, local production and simple lifestyles will be sufficient to reduce carbon dioxide emissions. She blames anybody and everybody for the problem of rising emissions and lands the issue squarely at the feet of the economic system that has served us pretty well for centuries. Apart from her argument for the need to change everything, it looks as if I will have to plough through another 300 pages to find out how she imagines this might actually happen. My guess is that it could be more wishful thinking than practical policy advice. Should I ever get to page 533 (!!) I will let you know, but I don’t know if I have a thick enough skin for that. One reviewer did manage to make it to the end and his views can be found here. In the midst of this cacophony of criticism, the rational middle continues on without much of a voice. But some of us are at least trying. 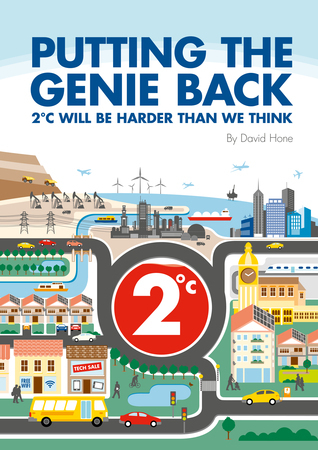 My new book, Putting the Genie Back: 2°C will be harder than we think, hasn’t attracted the talk shows or celebrity endorsements yet, but I have at least had some good feedback from readers and that is very gratifying. I wrote it to try and present a more balanced view of the climate issue and it does seem to be succeeding in that regard. Surely, so far the capitalist economic system has served us better than any of the alternatives. But, it appears to require permanent (and hence exponential) growth due to the way money is created as interest-bearing debt through fractional reserve banking. Unless it is possible to completely decouple GDP from GHG emissions (through CCS, CDR or whatever), capitalism based on infinite growth seems indeed incompatible with climate change mitigation. I follow with great interest the efforts of institutes like CASSE or the New Economics Foundation to come up with models for growthless capitalism (or let’s say a more resilient form of capitalism which can go through prolonged periods with zero or even negative growth without financial crises and mass unemployment). I really enjoyed Klein’s “Shock Doctrine” which was both a history lesson and a cautionary tale about over-indulgence in privitization and laissex-faire economic policies. However, I was still able to see the book as one-person’s bias. In that space it was refreshing because of America’s own flirtations with these policies. I saw her book as adding a new perspective to the debate. However, I am less optimistic that she is adding anything positive to the climate debate. In interviews given, she also is very negative on the energy sector as a whole. This approach is dissapointing in its simplicity. I champion your tact, and will have to read your book. The rational middle ground exists but is overwhelmed by the shouting of the two opposite sides represented by Abbott and Klein. 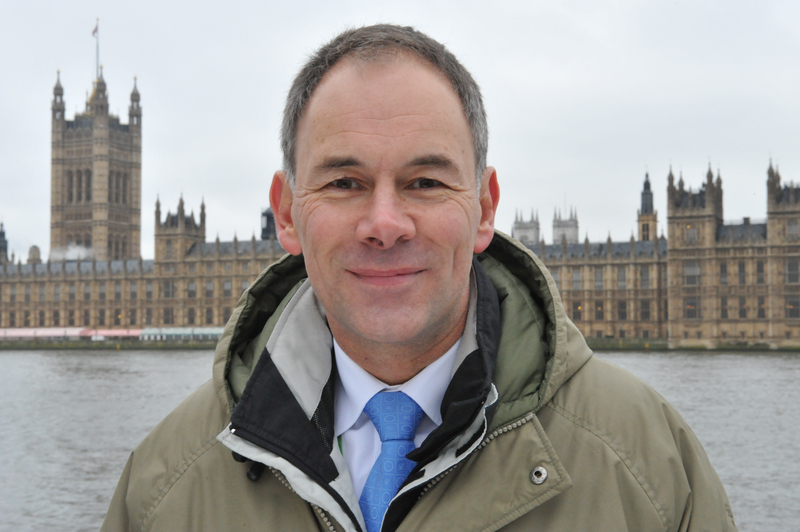 Have a look at the works of Matt Ridley (rational Optimist), Judith Curry, Bjorn Lomborg (Skeptical Environmentalist) and – in the Netherlands – Marcel Crok (De Staat van het Klimaat). They are called the lukewarmers, and they notice the huge benefits of modest warming in the short term and unlikeliness of catastrophic warming by the end of this century.